A fatal power plant accident in Middletown, a shooting at a beer distributor facility in Manchester and a plethora of additional fatal work-related accidents helped to contribute to the alarmingly high number of New England work accidents throughout the year. Every year there are hundreds of employees who die because of work-related accidents throughout the area. According to a recent release from the U.S. Bureau of Labor Statistics, Massachusetts endured more than 50 workplace fatalities in 2010. This number is in fact an increase from the previous year. Just below Massachusetts in the state of Connecticut, there was also an increase in the number of fatal work accidents, according to Hartford Business. As the economy makes a turn around and more people head back to work, these numbers are expected in increase even more. For this reason, it’s now more important than ever to help ensure the safety of everyone on the job. Our Massachusetts workers compensation lawyers understand that the large size of both Connecticut and Massachusetts and the high numbers in the respective workforces make them likely candidates for such alarming accidents. Many of these workplace fatalities can be avoided by taking the proper safety precautions. Employers are required to provide a safe work area for all employees and to help protect them from any work-related accidents. Both of the states accounted for about 70 percent of the New England’s nearly 150-employee death toll witnessed in 2010. In 2009, there were fewer than 140 employees in these two states that died at work. Massachusetts was granted with the top spot for fatal accidents in that year, too. “Our goal has been to learn from the tragedies of last year to better determine those steps that can be taken to create an even safer workplace in the future,” Connecticut Labor Commissioner Glenn Marshall. A large number of fatal work-related accidents that happen every year occur in the construction industry. These types of accidents account for about 20 percent of all fatal on-the-job accidents each year. The construction industry in our state consistently produces the highest rate of work injures. -Workers getting caught in/between machinery or objects. -Being struck by an object. Falls are the number one cause of death among workers and construction employees endure the highest risks for a these fatal fall injury, according to the Massachusetts Department of Public Health. In 2010, there were nearly 20 workers who died because of a fall accident. 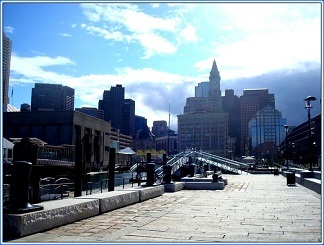 The Massachusetts workers’ compensation Lawyers at the Law Offices of Jeffrey S. Glassman, LLC advise injured victims in Boston, Norwood, Cape Cod, Foxborough and elsewhere in the state about their rights. If you have suffered a work injury and want to file a disability claim, call for a free and confidential appointment at 1-877-617-5333.